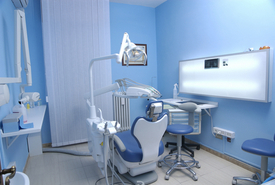 Many people have avoided getting dental care that they need due to a fear of the dentist. Perhaps they had a bad childhood experience or who knew others who had bad experiences. They may have been influenced by the way dentists have been portrayed by the media over the years. But the sad fact is, however, that by avoiding the dentist means that dental problems that could have been caught early have been allowed to progress, much to the detriment of a person’s overall dental health. Sedation or sleep dentistry is a wonderful way to have your dental treatment performed to regain your dental health. Some people have gag reflexes that are so severe that they can't tolerate even routine dental procedures. Sedation quiets their gag reflex so their treatment can be performed comfortably. Temporomandibular joint dysfunction can make dental procedures hard to tolerate because the patient's jaw muscles don't allow opening wide enough or their joint pain is too severe. Muscle relaxants and pain medications administered as part of the sedation procedure allow treatment to be done very comfortably for these patients. Hartford cosmetic dentist Dr. Steven M. Balloch and his entire team will strive to make your visit as comfortable as possible. Some patients have a hard time getting "numb", either because their nerves are in unusual locations or they just don't respond to the chemistry in local dental anesthetics. They wind up experiencing severe pain during with even simple dental procedures. These patients typically respond quite well to the chemistry of the sedation process and are not aware of any pain during their dental treatment with sedation. If a patient requires a lot of dentistry to regain their dental health and doesn't want to go back and forth for numerous visits, they may find sedation dentistry attractive because they can get all their treatment in one or two long visits. This is also ideal for executives who don't have time in their busy schedules for multiple appointments. If more invasive treatments like extractions, oral surgery, implant placement, periodontal surgery, and root canal treatment are needed, then Hartford sedation dentistry may be used to eliminate any conscious unpleasantness the patient may associate with these procedures. For more information about sedation dentistry as well as other dental care issues, contact our cosmetic dentistry office near Hartford.